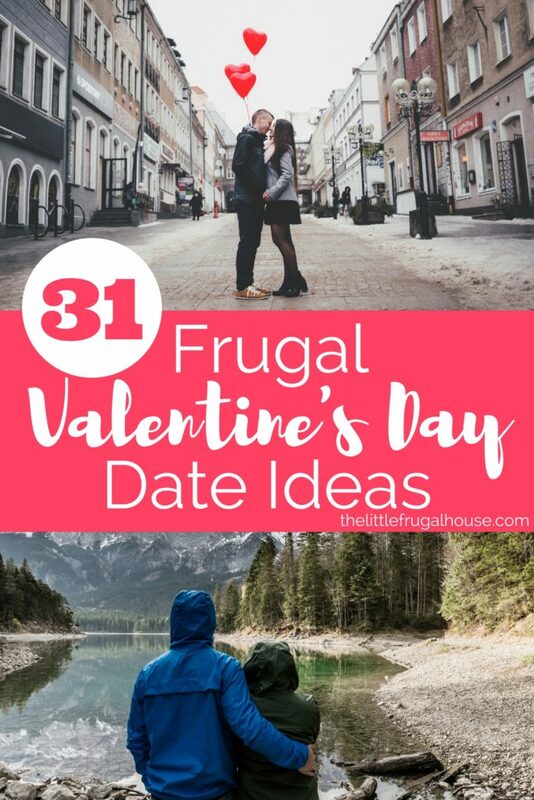 Looking for a super easy Valentine’s Day treat? 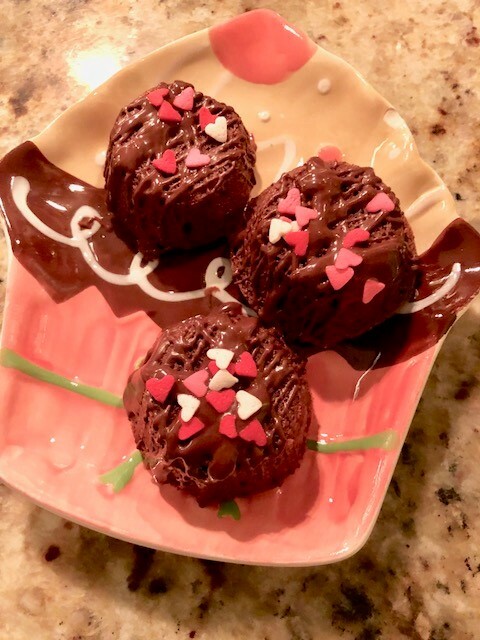 These little brownie bites are the perfect easy dessert to give as a little gift, take to a party, or enjoy with your family! You can customize these with whatever toppings you love. I think they are just too cute! 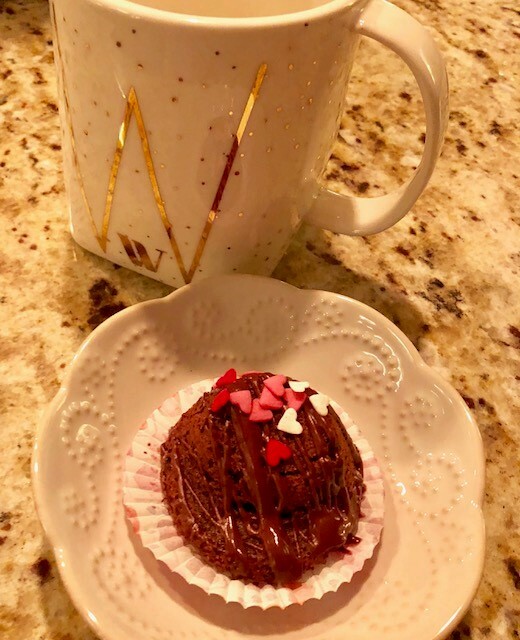 Brownie bites – Grab some from the bakery section or make your own! 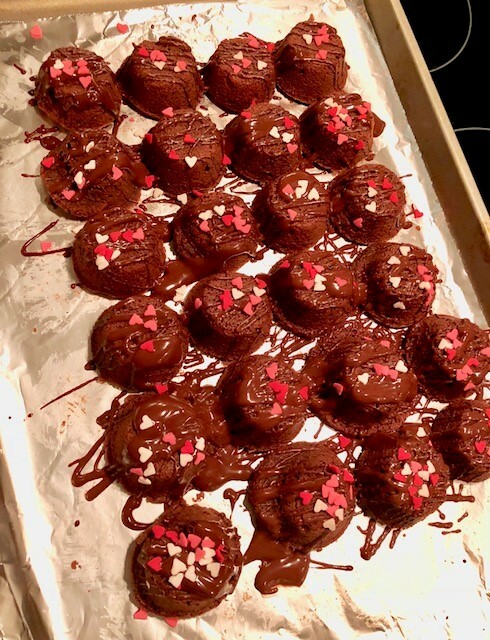 *I used this recipe from Pioneer Woman to make mint chocolate brownie bites. They are delicious! 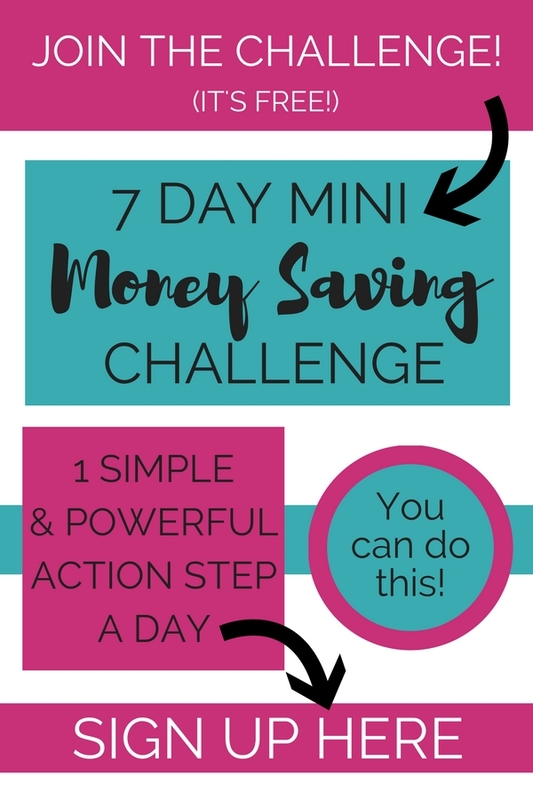 You could also use any brownie recipe or boxed recipe. Just bake them in mini muffin pans. Baking time will be less than normal – mine took about 12-15 minutes. Melted chocolate to drizzle – You can find this in the baking aisle. Or if you use the Pioneer Woman recipe like me, follow those directions. 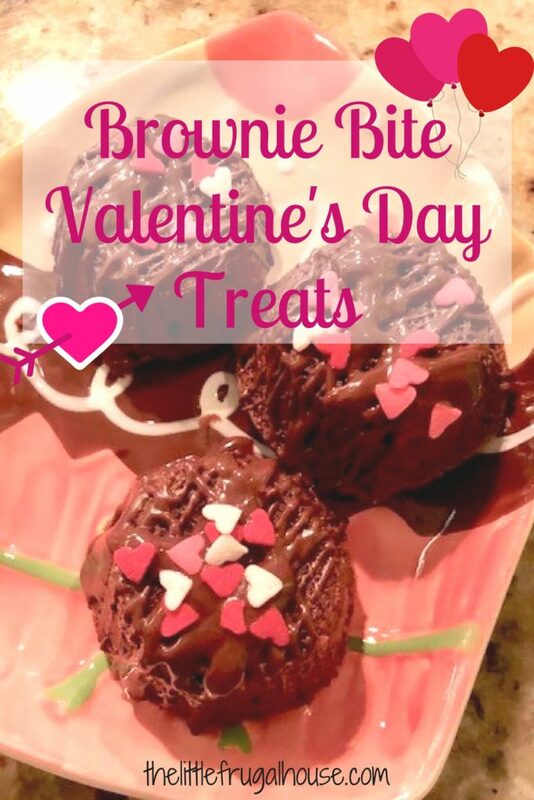 Make or buy your brownie bites. Melt chocolate in microwave until smooth. Flip upside down and drizzle with melted chocolate. Sprinkle with Valentine’s Day sprinkles. And I totally won’t judge if you buy brownie bites instead of make them! 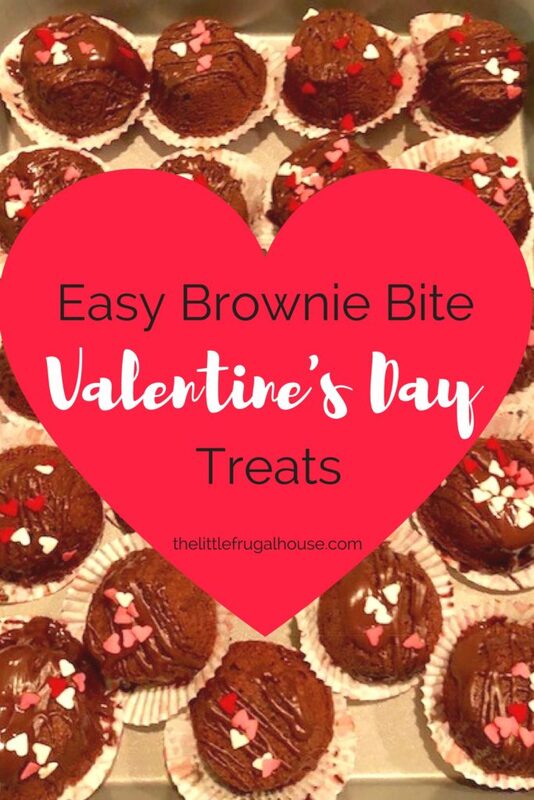 I love how these can be customized and changed up with different toppings to make the perfect brownie bite Valentine’s treats. You could also leave the brownies right side up, top them with icing, then drizzle your chocolate, and add the sprinkles. I placed mine in mini muffin baking cups for a little extra Valentine’s look. And of course we had to sample one right away. Delicious!! 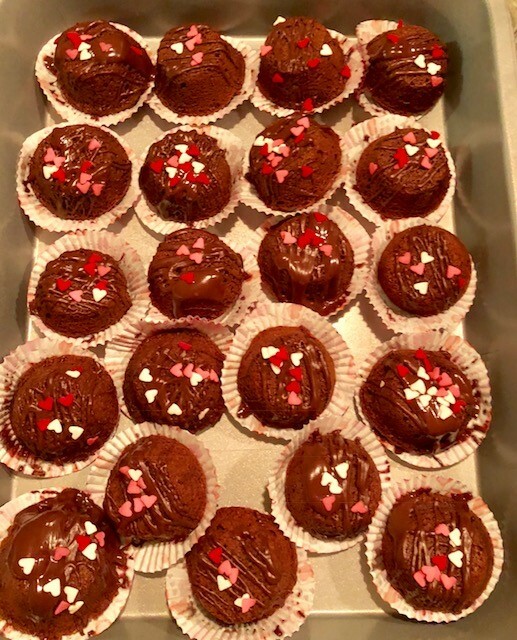 What are your favorite easy Valentine’s treats to make?